It is the goal of the Tulare City School District to provide safe, quality transportation for your children. 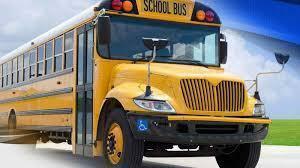 Documented to be one of the safest forms of transportation is traveling to school by bus. Our dedicated mechanics work hard to keep all buses in great condition. In fact, the district scores consistently high on California Highway Patrol safety inspections. Our bus drivers focus on making positive, appropriate connections with students. Please take a minute to review our bus rules located in the sidebar of this page, and discuss their importance with your child. We have also included more important information in the sidebar of this page regarding foggy day information and transportation safety guidelines. We appreciate your support! *Parents of students on an Intradistrict Agreement must provide transportation to and from school. Please meet the amazing staff members who help to provide safe transportation for your child every single school day.